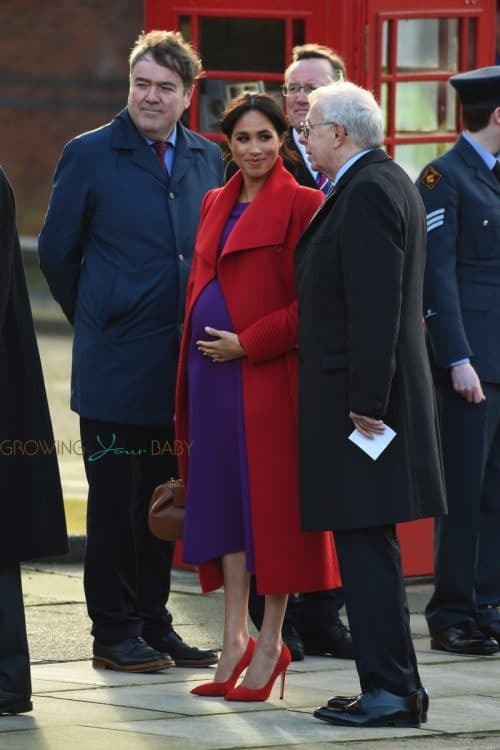 The Duke and Duchess of Sussex were photographed visiting the town of Birkenhead, Merseyside, the UK on Monday, January 14th, 2019. 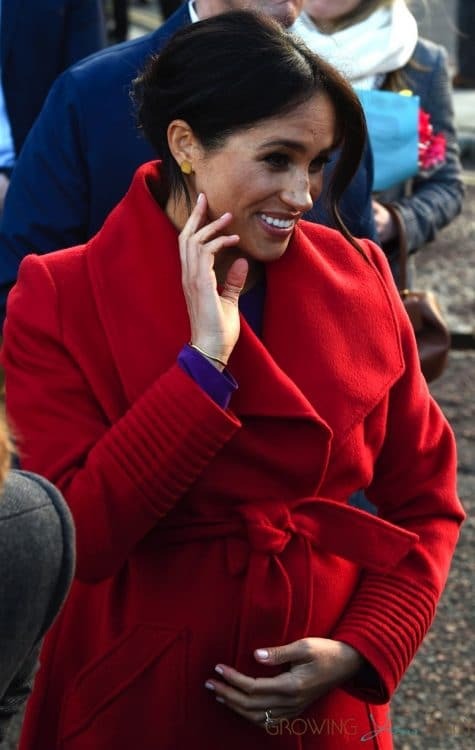 During the visit, Meghan and Harry met a number of local organizations that support and empower groups within the community. 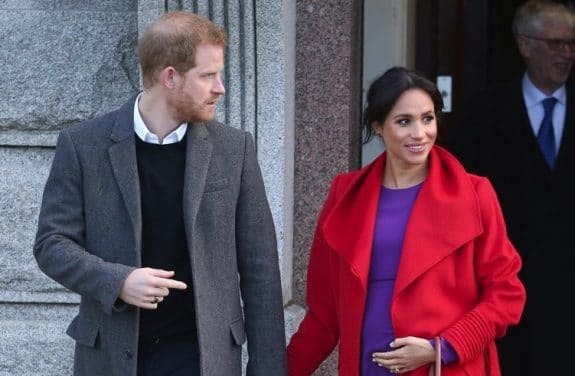 The parents-to-be first visited Hamilton Square to view a new sculpture erected in November to mark the 100th anniversary of Wilfred Owen’s death. The statue, which is named after one of the Birkenhead war poet’s poems, ‘Futility’, is cast in bronze and represents an exhausted World War One soldier. The pair were also treated to a performance by the Hive, a safe environment where young people can come and enjoy themselves, building key skills and raising their aspirations and confidence. 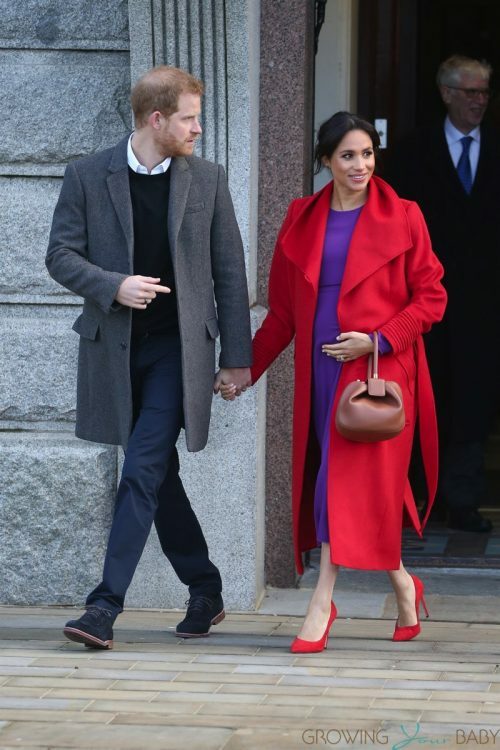 Meghan was pretty in a red jacket, matching heels and a purple dress. 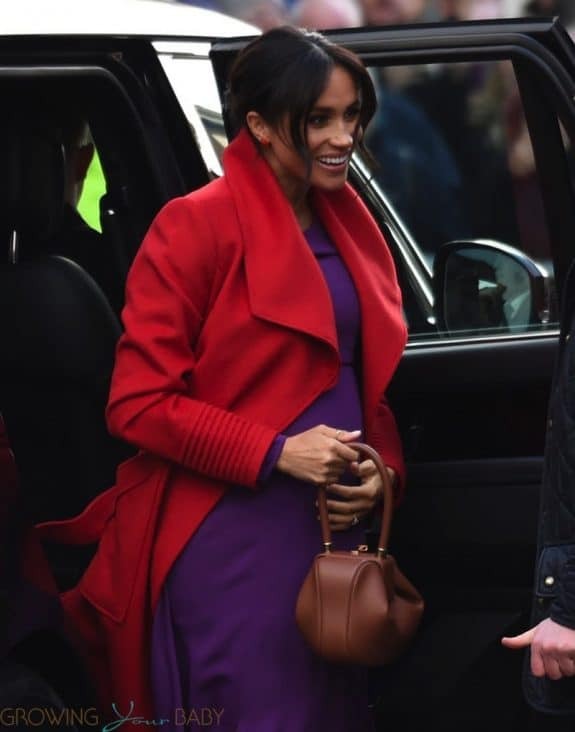 A mom who was in crowd spoke to the Duchess about her pregnancy. 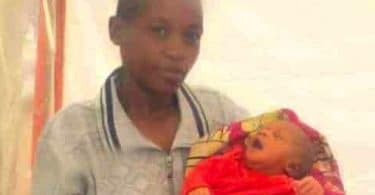 The new baby is reportedly due in April. Meghan revealed the news to another bystander as she was making her way through the crowd.